Baselworld 2015: The release of the Bulgari Diagono Magnesium Concept watch could put the watchmaking industry on a new path. We’re in an era of change. Advancements in wearable technology are coming thick and fast. This is in stark contrast to the often glacial progress of horology en masse. For most of the 20th century, game-changing inventions were massive and infrequent. Nowadays, infinitesimal improvements seem to be happening all the time. Rare indeed is an addition that adds an entirely new and practical function to a watch – but the question is whether or not consumers want it there. 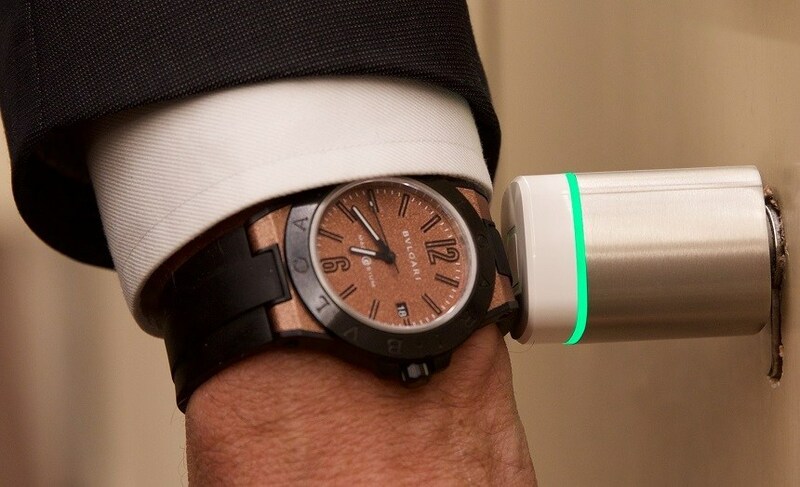 Working in conjunction with WISeKey, a Swiss NFC technology expert, Bulgari have created something that is more than just a self-winding mechanical watch. It is a key to a portable vault worn on the wrist. Inside the case, which is attractive regardless of its internal intrigue, is an NFC chip capable of unlocking an application that can store huge amounts of encrypted data on the cloud and communicate with other devices within its range. By simply tapping the watch against a smart device, it is possible to engage the specially designed app from which the watch’s data storage potential can be controlled. Bulgari make a big deal about the security of this watch, so it’s important to point out that your data isn’t actually stored on the watch. Rather, the watch has a direct link-up to an underground bunker in the Swiss Alps, where all your passwords, PINs, personal information and bank details can be stored. I know it sounds like something out of a James Bond movie, but seriously – this is one vision of the future that could soon become a reality. But is it the most likely? It is imperative to identify where the appeal of a luxury watch comes from. We already know that mechanical timepieces are far from the most efficient way to tell the time. We have phones; we have laptops; we may even have an MP3 player that is more accurate than a $100,000 Patek. But we still want the wristwatch because it has a soul. It is a reminder of human endeavor and skill. It is a treasure and a status symbol. It is beautiful in a way the concealed calculations of a circuit-board will never be. Agreeing to let these electronic invaders come into contact with a finely wrought mechanical movement is heresy, right? Well, toeing that line might feel a little hypocritical, if you’ve ever lusted over a luxury quartz watch. I certainly have. 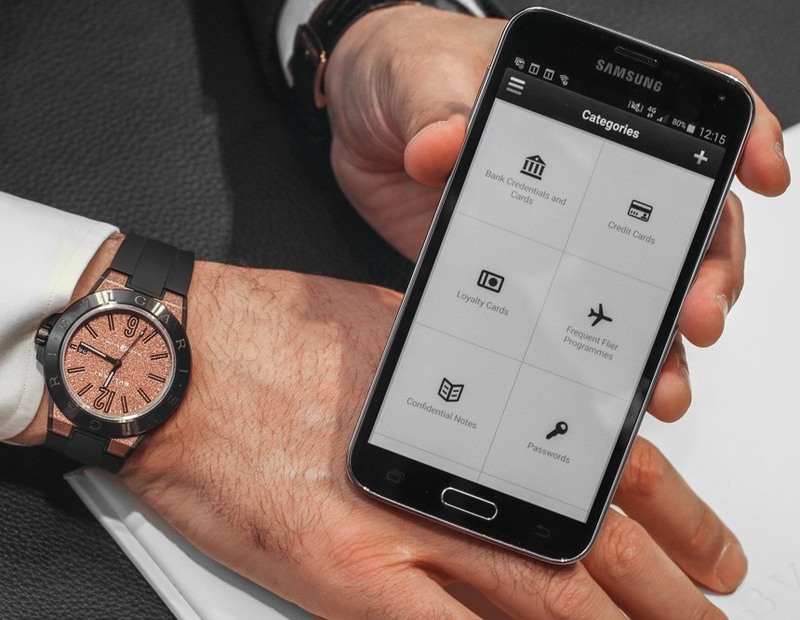 I even used one in my previous example: the Breitling B55 Connected is a luxury quartz watch that connects to your smart phone using similar, if not identical technology to the Bulgari Diagono Magnesium Concept. There are plenty of purists who dismiss quartz as it is. I’ve never been that strict on the matter, because I tend to care more about what the watch stands for. That said, there comes a point when even I believe a line should be drawn. So what is that line, and where do I think we should draw it? 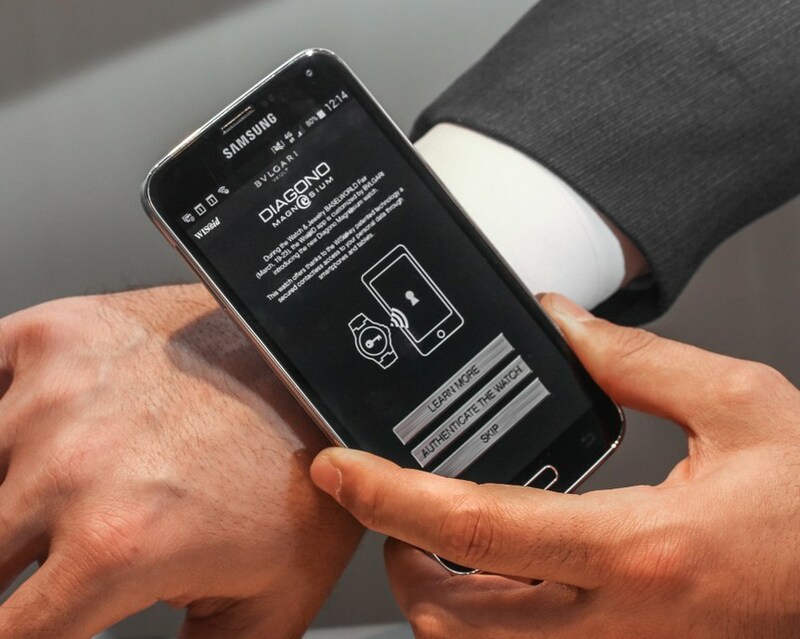 It seems obvious that smart watches and other wearable technologies are the future. I don’t believe that a smart watch is a direct replacement for a mechanical wristwatch, because they perform different functions (one is for the display and processing of information; the other is an item of personality). Regrettably, though, they occupy the same territory, so you can only wear one at a time. But there is hope for high-end watchmaking. We might see years of attrition, we might see a settled-upon compromise that floods the market and becomes the norm, or – and I kind of like this idea – we might return our mechanical marvels to the pocket and leave the wrist free for the fad of the future. So where does this release fit into this new smart world? I believe that watches in the mould of the Bulgari Diagono Magnesium Concept are a bridge. We could be in for a few years of watches designed in this vein while the major maisons decide which track they want to tread. In that light, the technology housed in the Bulgari Diagono Magnesium Concept provides fascinating possibilities that we should fully embrace while the jury remains out. This model is not only a trailblazer, but also a beautiful watch that deserves praise and attention for the way it honors the brand’s stylistic values but keeps things current with a bi-color, multi-material case and rubber strap and that oh-so-cool Bulgari bezel. The ‘Magnesium‘ in the title comes from the case middle material. Light and strong, magnesium is uncommon in watchmaking, but incredibly well suited to the rigours of a wristwatch. That beautiful bezel is crafted from ceramic this time around – a great choice to reduce wear and glare. There is also a ceramic ‘cap’ on the crown (which, along with the case back, is PVD-coated steel). The final material worth mentioning is PEEK, a revolutionary, space-grade polymer that is so highly regarded in terms of temperature resistance and structural resilience it has been used instead of metal in Space Shuttle design. PEEK stands for PolyEtherEtherKetone, which is neither as catchy nor as cute as its acronymic title. PEEK is also used for the buckle that fastens the vulcanized rubber strap to your wrist. Without the NFC chip, the watch is available in four colours – blue, silver/gray, bronze, and anthracite. If you go for the Concept, though, it is only available in bronze for now. 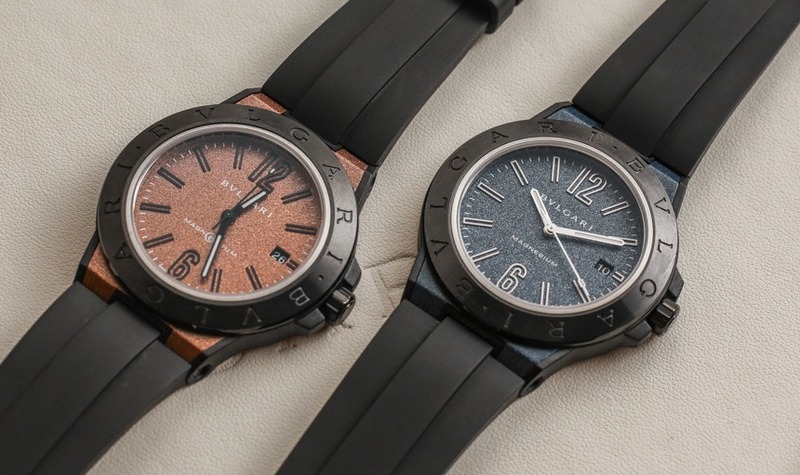 The dials match the color and finish of the case, which kind of looks like rough-sandblasting but is a feature of the Motor-Lac coating that gives the cases a distinctive hue, texture, and sheen. 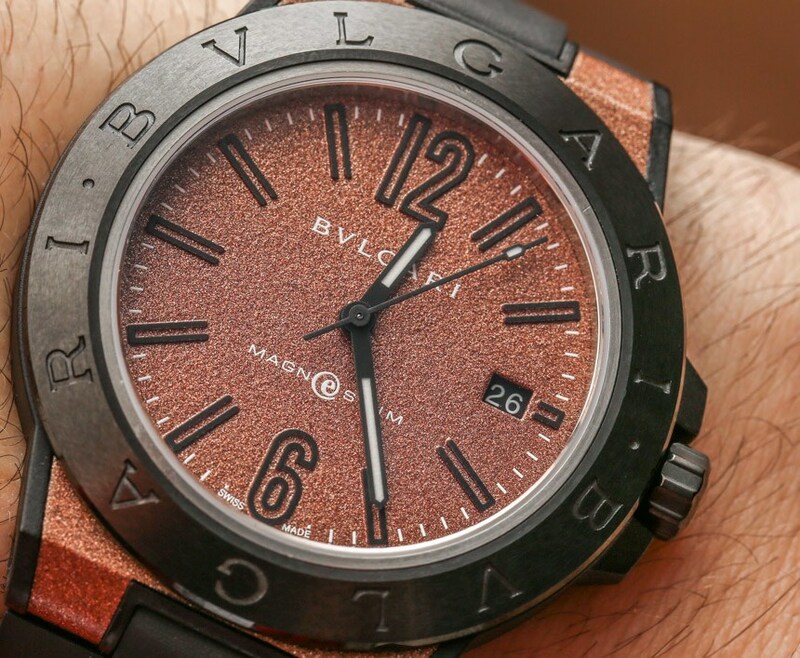 Bulgari‘s engineers have been pretty creative here, and borrowed the idea from the coating used to protect the complicated functional components of motor cars, hence the name. 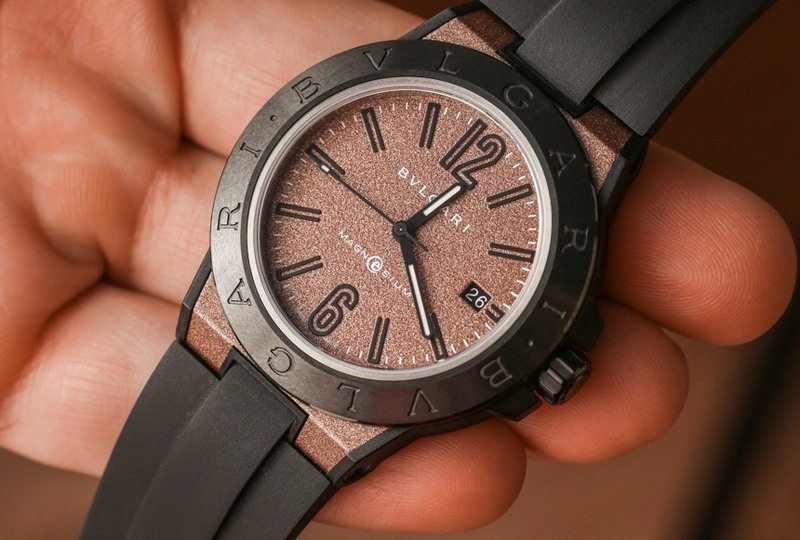 But let’s focus on what this concept from Bulgari can offer you that other watches can not. The Bulgari Diagono Magnesium Concept is referred to as an “Intelligent Watch.” It doesn’t make decisions for you, but it does aim to streamline your life in an intelligent fashion, removing the clutter necessary to get through your day. Theoretically, the Bulgari Diagono Magnesium Concept watch could be a set of keys for your home, safe and car; it could be your plane ticket, boarding pass and passport; it could be your debit card, your check-book and your credit history all at once. 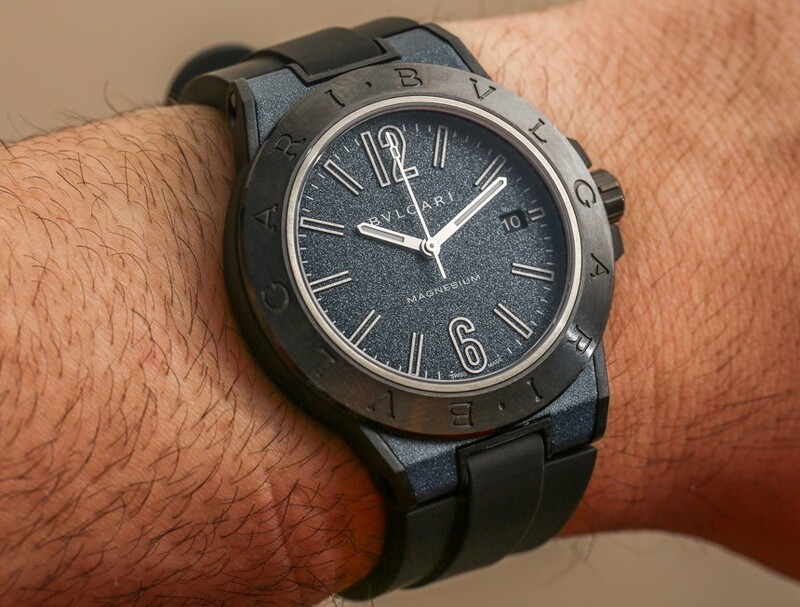 More so, the security of the concept is limited to who has access to your watch, as well as how much stock you want to put into the durability of the application that Bulgari has designed the concept around. This all sounds well and good, but that’s a lot of sensitive data to carry around on your wrist! To put minds at ease, Bulgari remind us that this is a purely Swiss timepiece in the hope that is enough to allay our fears of fraud. Swiss company WISeKey do have plenty of experience in the field of data storage, though, and are already set-up with Android and iOS apps for securely storing passwords and credit cards, so their track record is reassuring. So how do you go about accessing and entering the information protected by your watch? By connecting to your smartphone or tablet via an NFC (Near Field Communication) interface, you can use the Bulgari Vault App to manage your details. Remember, the data you enter through your phone is not stored on your phone. It is encrypted and then buried in your underground bunker potentially thousands of miles away. It is a really neat tool, and certainly has some patently practical uses. But it remains to be seen how seamlessly it will function in the real world. Right now, this watch is still in development. The concept has been revealed now, possibly to gauge opinion and work out any bugs in the machine before they go to market with their prospective pioneer. 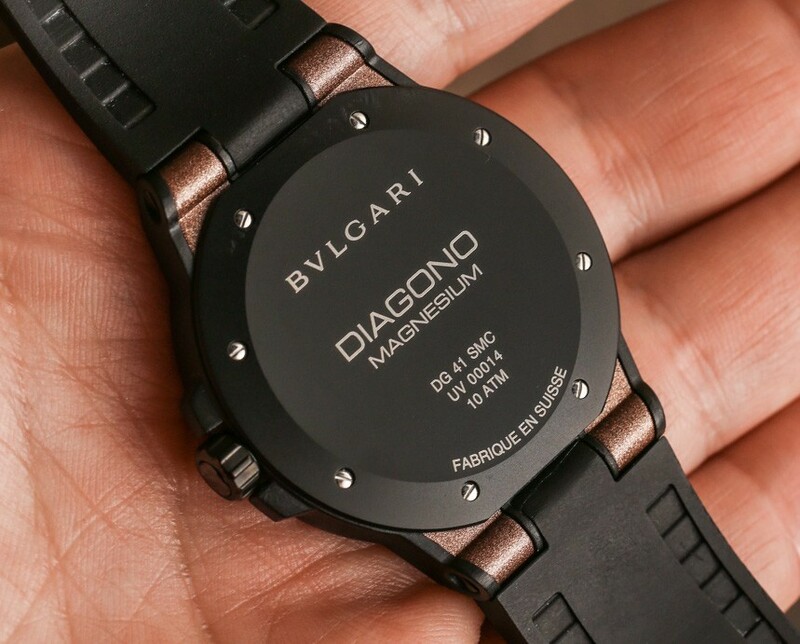 One factor that may determine the success of of the Bulgari Diagono Magnesium Concept is the price. When I first saw this watch and read about its function, I immediately imagined the price tag would knock my socks off. But then I discovered that the price with or without the NFC chip is $4,600. I was very pleasantly surprised. Whether this excites you, as it did me, may well depend on how you feel about the marketing values of this watch. Very little is made of the self-winding mechanical movement that powers the watch (operating at 28,800 vph and boasting a power reserve of 42 hours) and gives it its soul. Instead, all the attention is given to the watch’s intelligence. Time will tell how smart an idea that was.